Hello to all of the lost TTW boys and girls! As you all may have noticed, IRC is pretty much RIP. But, Discord is here to replace it! 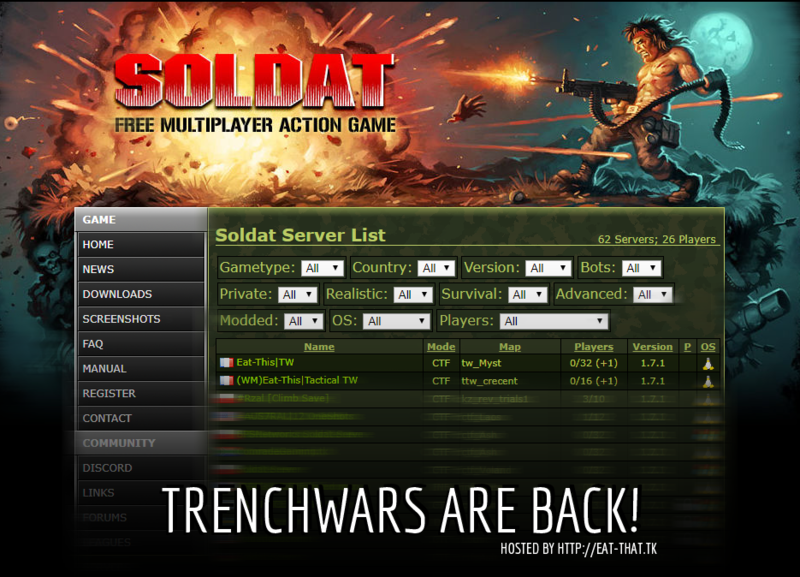 We've done a substantial amount of work to bring good quality community and gather server! TW and TTW has a public again now (each). And if demand will rise, perhaps a gather will be added. Ex |TA| (Tactical Assassins) clan's former. Re: Eat-This TW & TTW!